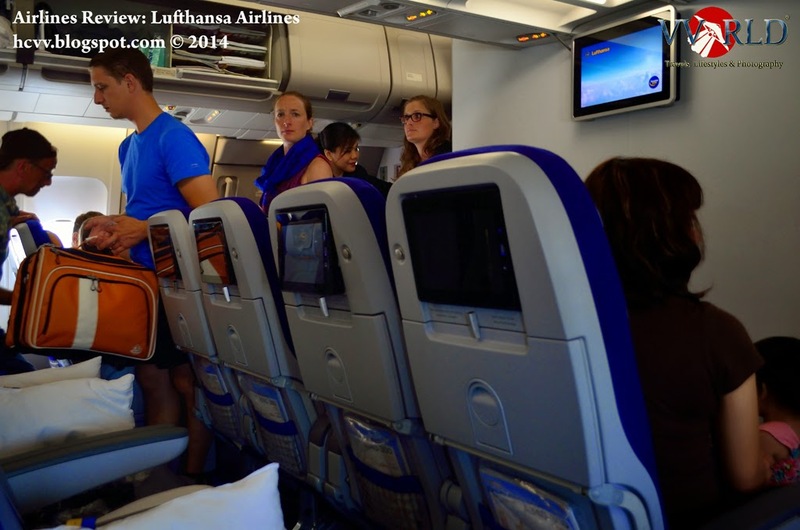 During my business trip to Rio de Janeiro, I had the opportunity to fly on Lufthansa airlines for the very first time. Basically, Lufthansa airlines is the largest airlines in Europe, based in Germany and the five founding members of Star Alliance. The long haul routes I flew on Lufthansa airlines were Bangkok-Franfurt (one way) and Franfurt-Rio de Janeiro (two ways). Recently in the year 2016, the opportunity to travel to Europe arose again with a short haul flight from Frankfurt to Vienna. My review will be based on these three routes. The newly refurbished Airbus A340-300 boasts newly refurbished economy class seating with 2-4-2 configuration. The new in-flight entertainment: 10 inches touch screen with latest blockbuster movies without any joypad/keyboard. The panel includes a USB port for smartphone charging as well. Salty biscuits and drinks were provided as starters. As always, my favourite drink will be bitter lemon. 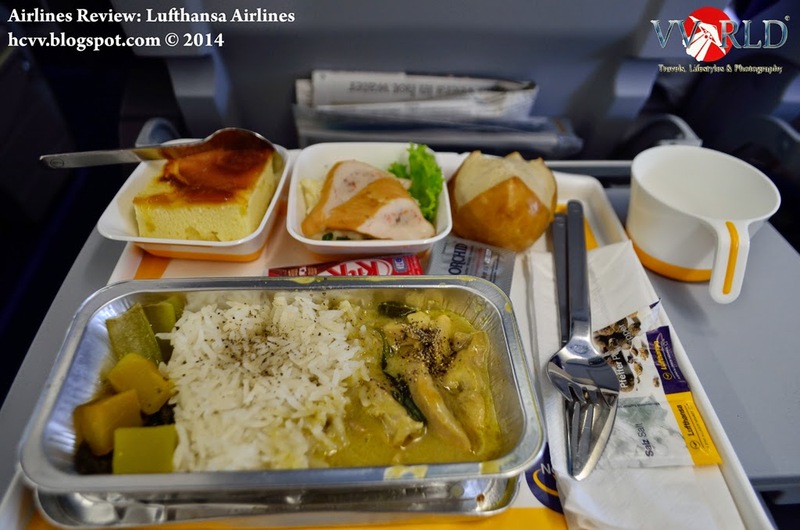 Chicken pasta was served with bread and fruits as a breakfast just before the landing at Frankfurt. The Frankfurt – Rio de Janeiro route was served by the good ol’ Boeing 747-400. 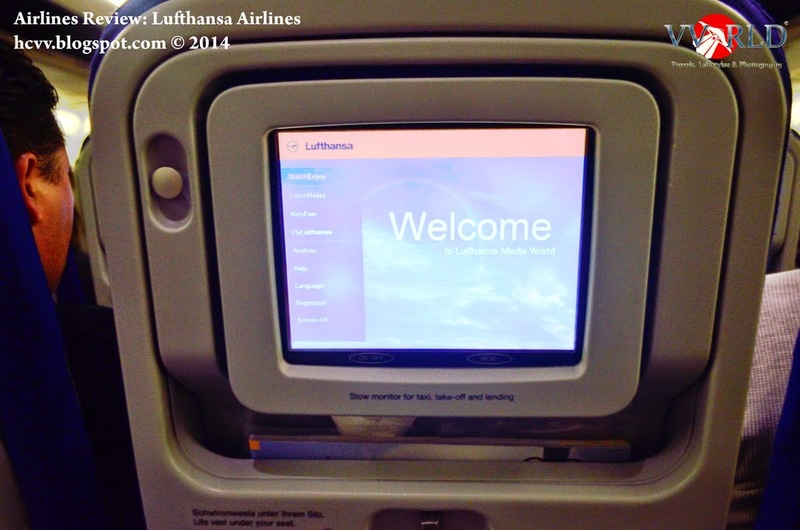 As Boeing 747-400 is an old aircraft, the in-flight entertainment was old as well with the old 9 inches touch screen. Channel and volume control system is very old skool which was installed at the armrest of each seat. Dinner was served with…. sorry I have forgotten the name of this meal but it was delicious. Breakfast was served with Pasta, cheesecake and seafood before landing on Rio de Janeiro. Omelette pasta and spinach was served with bread and yoghurt as supper for the Rio de Janeiro to Franfurt flight with my favourite bitter lemon. Omelette and potatoes with fruits and bread were served as breakfast before landing at Frankfurt. The short haul flight from Frankfurt to Vienna is currently served by the Airbus A319 with its 3-3 configuration economy class seat. No in-flight entertainment features in this aircraft though. A vegetarian meal, the Tomato and Mozzarella Sandwich was served for this route. On the return flight from Vienna to Frankfurt, a ‘beefy’ Beef Pastrami was served. 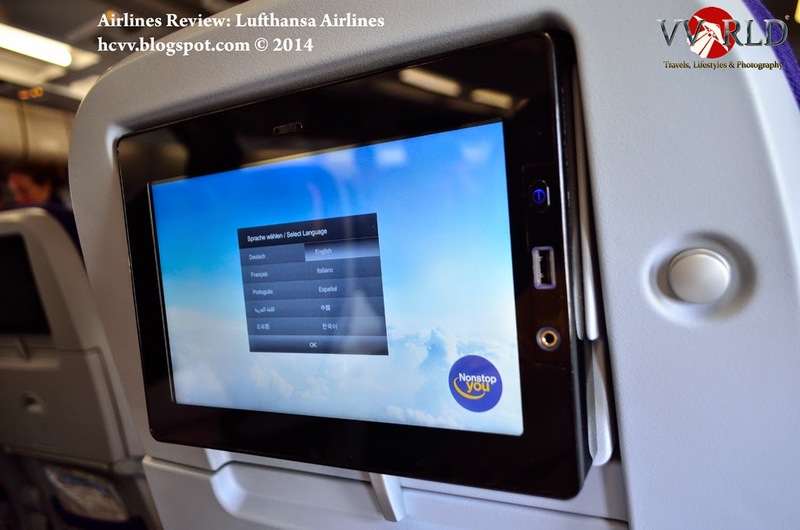 One of the special facilities of Lufthansa airlines is the internet wifi package, the FlyNet. The FlyNet special summer package offers a 24 hours unlimited surfing at only 15 euros from the month of June through September. This facility was very useful and affordable especially for long haul flights and connecting flights. I bought the 24 hours internet package for 15 euros and tried using them to connect to skype, streaming videos from youtube, surfing the web and facebook. This picture was taken by my friend during a skype conversation on air from the aircraft itself. Behind me was the galley of the aircraft. I used the wifi during my flight from Bangkok to Franfurt and continued using them from Franfurt to Rio to Janeiro. Much to the delight of economy class passengers of Lufthansa Airlines, passengers can enjoy free coffee and tea served at certain departure gate at Terminal 3 ( you have to search for this place). The economy class seat was comfortable on Airbus A340-300 with good seat reclination. However, it was not so comfortable with old and narrow seats on the old Boeing 747-400 which served both routes from Franfurt to Rio de Janeiro. How I wish to fly on the new Airbus A380 or the Boeing 747-800. The in-flight meal was delicious without any complain of course but the best in-flight meal in my opinion and previous experience is still from the Scandinavian Airlines (SAS). The entertainment system on Airbus A340 was a good experience compare to the Boeing 747-400 in which the screen was small and the color quality has deteriorated. The best experience about flying with Lufthansa was indeed the FlyNet internet wifi package on air. 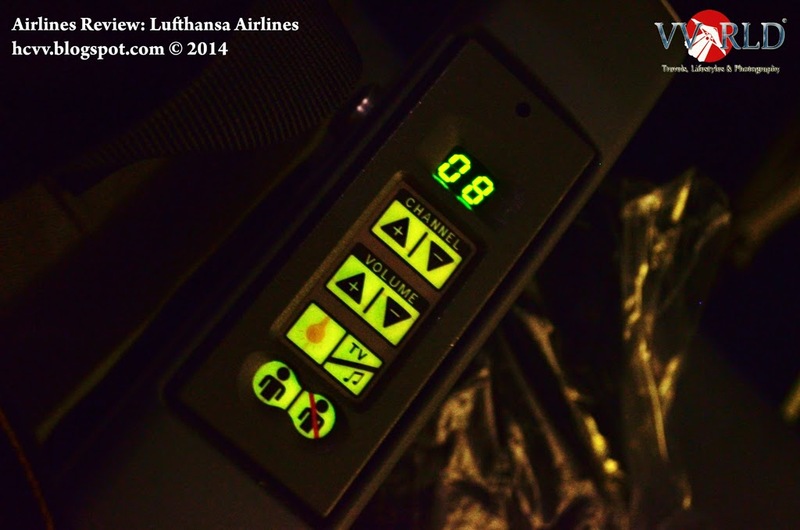 I would recommend Lufthansa airlines if flying routes are not served by the Boeing 747-400 series. On the minor downside, the inflight meal served during the short haul flight might not be suitable for a vegetarian especially if there is no choice of selection for the sandwiches. As a Star Alliance member, passengers are able to collect mileage points efficiently as well. Hi there~ thanks a lot for your commetns and sorry for the late reply. Yep I have checked out your amazing blog..and i have bookmarked them as well. hihihi, long time no visit . how r u?